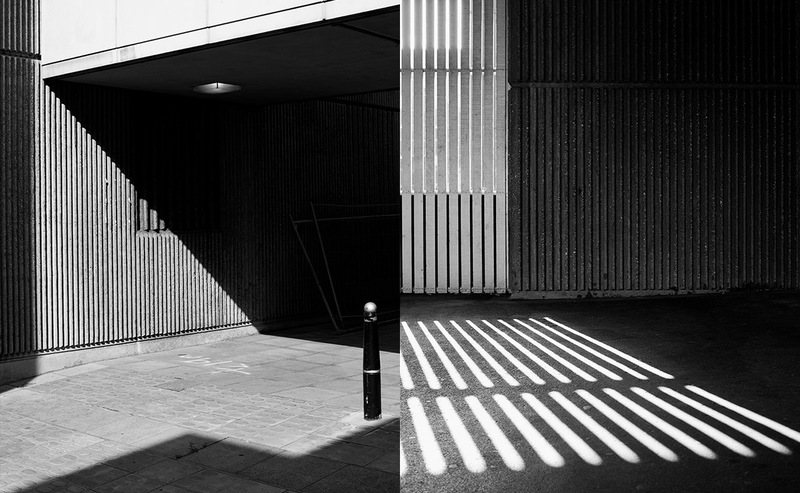 Robert Low is a London based photographer who photographs architecture and sports imagery. His career started as an assistant photographer working with fashion and portrait photographers as well as being the 1st assistant to Antony Maule for three years; his works focus on form and pattern creating almost abstract depictions of the buildings he shoots. 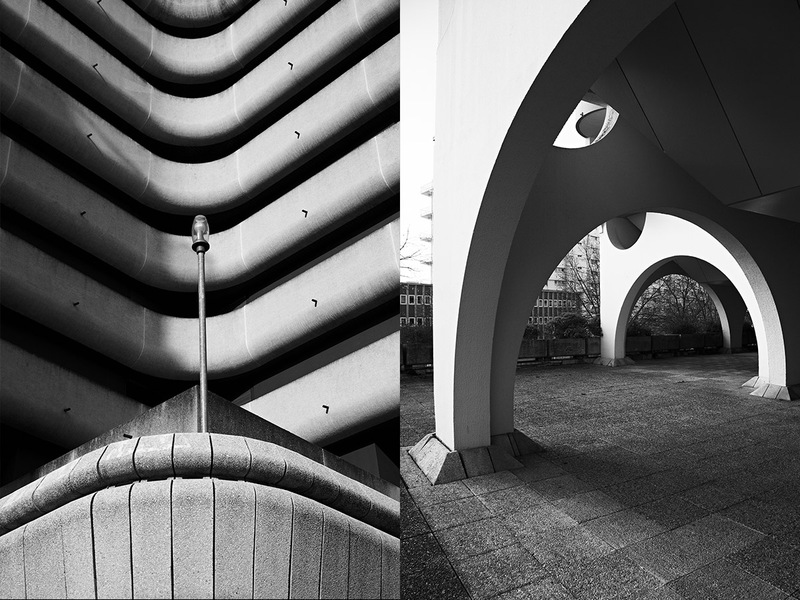 We spoke to Robert about shooting Brutalist buildings and take a look at the love affair between Birmingham and concrete. Growing up outside of Birmingham, the stereotypical concrete jungle was something that stood out to me about the landscape of the city; I’ve now lived here for over a decade and it’s something I went from hating to falling in love with. The marmite nature of the architecture has caused mixed feelings for many but for me, it creates a sense of nostalgia – the Brutalist beige concrete evoking memories of my Nan’s 70’s shag pile carpet and avocado bathroom, black and white TV and weak tea. For many, it’s an eyesore but for those campaigning against its loss, it is a beacon of an era soon to be lost entirely in the architecture of the city. The most well-known Brutalist loss, of course, being the beloved (or not) Old Library. Built-in 1974 it was the Modernist dream of architect John Madin, lost now to a vision of corporate offices and Starbucks. The inverted Aztec pyramid or Ziggurat created an alternative to the more generic high rises that rose across the city. A building that if the original design had been realised would have been a clad in Portland Stone and played an important role in Birmingham’s cultural identity. As it so often goes, the funding wasn’t there to complete the glitzy dream and instead the library was left to its bare-boned concrete body and neglected interior, which has divided the city’s opinion ever since. London has been more accepting of its Brutalist structures, helped mostly by being put to excellent use i.e. The Barbican/Hayward Gallery but unfortunately, in my decade in the city, I never set foot inside the Old Library building other than as a walkway and cover for Weatherspoon’s and Nando’s. The blow wouldn’t be so bad if we had innovated architecture in its stead but the most pressing agenda for the council and decision-makers seem to be the proposed HS2 railway line and the accessibility of business (bore off). The library is not the only Brutalist structure in the city, the New Street Signal Box built in 1965 stands proudly in front of The Mailbox, protected due to its Grade II listed status. It’s been operation 365 days a year and 24/7 since it opened but will soon become defunct due to new technologies. Another is the Centre City building, with a separate obelisk tower that protrudes like a concrete rocket about to be launched and maybe the most well-known of all (and more of a feat of engineering) is Spaghetti Junction, which topples over reservoirs and canals to create a mind-bending rollercoaster of roads. Of course this is not to everyone’s taste and perhaps living in the city has jaded my view of aestheticism; I understand the hatred of it to some extent, concrete can look dingy and drab and unwelcoming and it can be hard to differentiate a classic structure with a bus shelter – in some cases it just doesn’t work or suit its environment. The link bridge above Snobs and Oceana is the latest Brutalist fixture to get the chop in Brum, but to be fair, I agree with them reluctantly on that one. Reluctantly because the mix of old and new is what makes this city great, it would be such a shame if all the fresh, shiny exteriors are being built at the detriment of the city’s past. After all, Birmingham is brutal and that’s why we love it. For such a divisive architectural style, the Brutalist architecture in Birmingham has been a source of great inspiration for its creative scene. We previously wrote about architects’ space_play who created 3D pieces relating to these buildings, it has also been a particularly rich subject for local photographers such as Kate Hook, Tom Bird and Verity Milligan. The linear shapes have also allowed the beautifully crafted and bold graphic design works by Dorothy as well as a dainty handcrafted pin design by Pin Game. The subject also caught the eye of photographer Robert Low. Before The Old Library’s demolition and excavation, Robert Low was able to take intimate shots shown here of the buildings abandoned interiors and striking façade. Robert says that for him “The Old Birmingham Central Library held as much sentimental as well as aesthetic value. 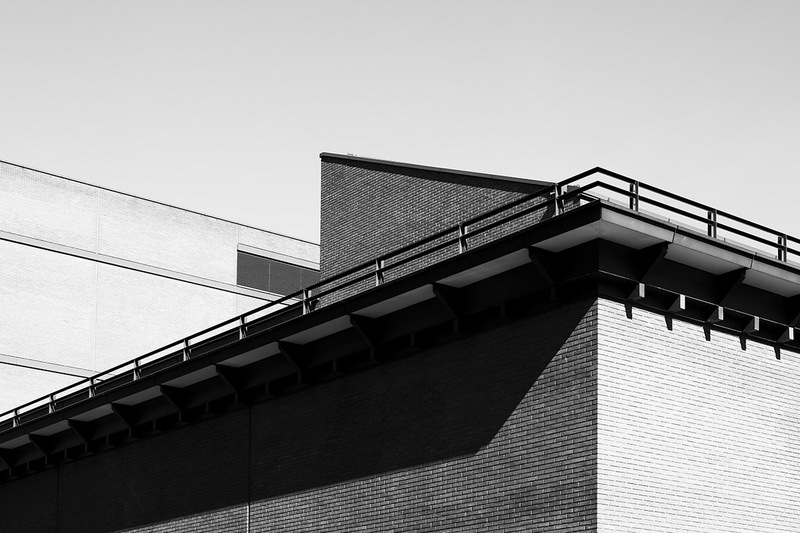 For me, it was the entrance to Birmingham.” The images he took focus on the line and form of the building, shot in black and white creating a timeless feel; looking back at a memory of a skyline now lost. Robert says that he loves “the simplicity of Brutalism. 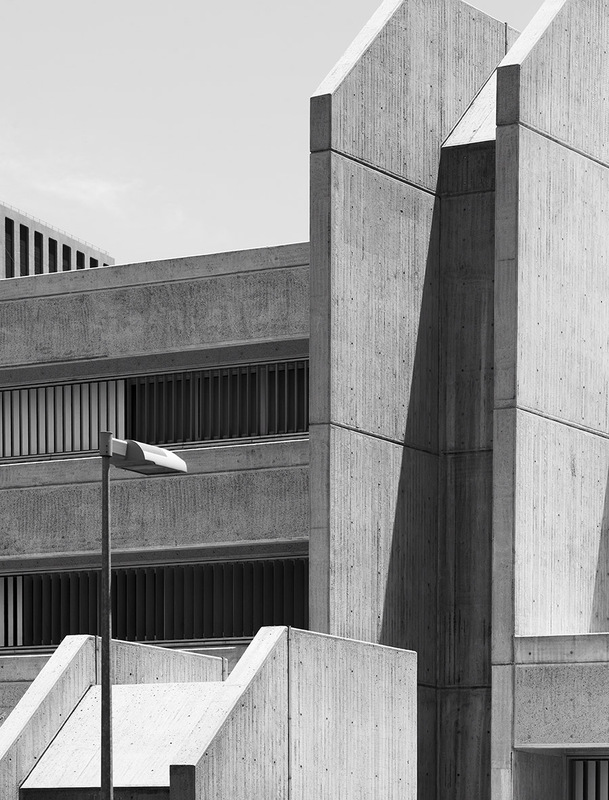 My eye is drawn to architecture that doesn’t rely on too many materials.” By definition, this is Brutalism, the term coined originally by Le Corbusier to describe the material used – beton brut (raw concrete).